Grieving a disappointment or a relationship failure? Facing a death, with its harsh necessity to let go when things are left unresolved? These moments are personally devastating…and they echo within wounds that are older still. Whatever the roots beneath this grief, it is heartbreaking and terrible and needs attention. Yet for so many of us there is neither the time nor the support to shepherd us through these most normal-though-excruciating of human experiences. Without time and attention, without care and containment, heartbreaking loss can fester into self-destructive impulses and behaviors. Neuroscience tells us that the loss of a significant person produces the same physiological stress response as a life-threatening situation. Your brain can’t tell if you’re heartbroken or about to die! This level of stress is unsustainable, and can do significant damage if not attended to. Psychologically we know this: Grief is supposed to bring you down, for in doing so it requires you to develop greater emotional and psychological capacity. Any crisis has within it soul-level seeds of opportunity if we can courageously feel it all the way through. As if only this kind of intensity can change who we are at the roots, can clear the space for a necessary rebirth to occur. Throughout the history of human culture it has been understood that the griever is in a state of transformation, and it is the responsibility of family, friends and community to provide a protective space for the grief process to do its difficult work. Modern individualism, for all its blessings, has made this necessary passage of human life much more dangerous. Without the support of others we risk drowning in our grief, falling into BIG GRIEF, the deep-well of unfelt feelings that accumulate in the human soul. Our fear of being overwhelmed forces us to repress the experience so as to keep on functioning in our day-to-day lives. However, when this much psychic energy goes unfelt there is a price to be paid…. Debilitating anxiety…. Addictive numbing…. Depression. The great challenge is to allow the heart to break, to feel what is here to be felt all the way through, while maintaining faith in the process of life that has brought you to this moment, and will bring you through it. It takes tremendous courage and a supportive environment to turn towards the ache and emptiness rather than turning away from it. To choose connection rather than isolation. Which brings up an important distinction: Aloneness and isolation are not the same thing. You need time alone with yourselves, to be with yourselves and to do the inner work that no one can do for you. It is an act of profound courage, and it does not need fixing. To isolate is to distance and numb yourself, sometimes in plain sight through apparently social activities like work or “being there for others”, when in reality you are fading and quietly checking-out of your life. 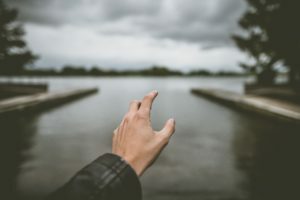 Addictions, obsessions, and compulsions serve as unconscious anxiety management systems… we can expect them to go into hyper-drive during times of unsupported grief. When these words are spoken from the heart—not necessarily directly to the lost loved one—the fact of the loss, the event, is transformed into an experience. An experience with the power to forever change and enrich your life.